With the aid of a reach pole, authorities did separate both animals. DEPEW, N.Y. — Assistance was needed at the Reinstein Woods Nature Preserve in Depew after two bucks got stuck together by their antlers. 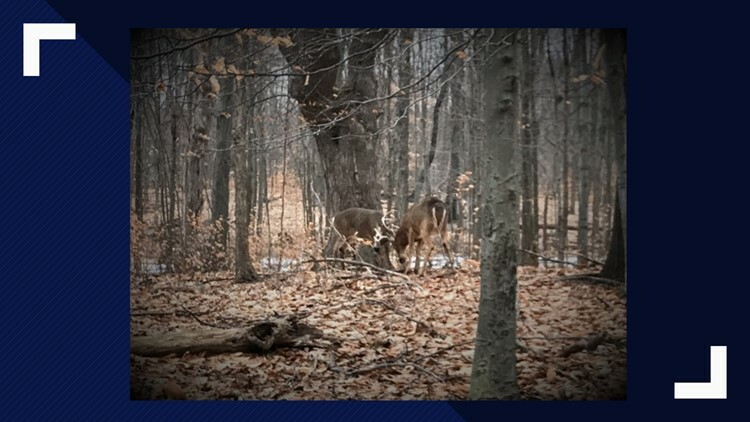 The New York State Department of Environmental Conservation says a volunteer at the nature preserve contacted authorities telling them there were two bucks who were unable to free themselves. When authorities arrived on the scene, six people were spotted taking pictures of the bucks. They were asked to move away to a safe distance to ensure their safety. With the aid of a reach pole, authorities did separate both animals. They ran in opposite directions and appeared to be in good health.